We’ve made every effort to ensure our bedrooms have been decorated with comfort and luxury in mind. The four superking or twin bedrooms all have bespoke oak beds with 30cm deep high quality pocket sprung mattresses to ensure a good nights sleep. The chalet has two bedrooms on the first floor both have a balcony overlooking the garden. There are a further two bedrooms on the ground floor that have their own terrace area. 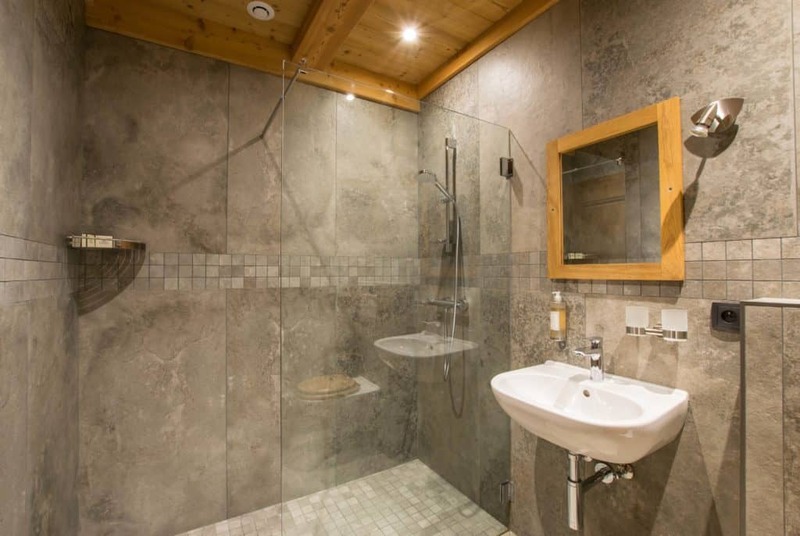 All have an en-suite walk in shower with complimentary organic eco friendly toiletries and hairdryers. Each bedroom has a thermostat for the underfloor heating and large sliding doors, which makes the rooms light and airy. They all have automatic shutters which gives total blackout. The beds have feather duvets and pillows with Egyptian cotton to create that extra comfort you want whilst on holiday. Superking or twin room. It has a walk-in shower and a separate toilet. On the ground floor sleeps two guests. Superking or twin room. It has a walk-in shower and toilet. On the ground floor sleeps two guests. Super-king or twin bedroom with walk-in shower and toilet, sleeps two guests. It is situated on the first floor and has a shared balcony. Super-king bedroom with walk-in shower and toilet, sleeps two guests. It is situated on the first floor and has a shared balcony. 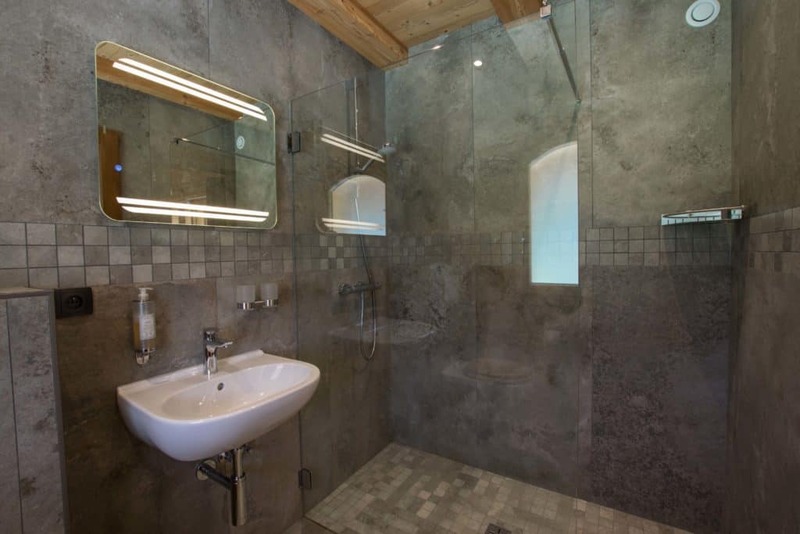 Chalet Carnauba is equipped with all modern conveniences. In addition to the standard amenities that you would expect, here are a few that we would like to highlight. We know how important a good nights sleep is so we invested in bespoke oak beds with 30cm deep pocket sprung mattresses to ensure you all have a good nights sleep. All bedrooms have en-suite with walk in shower and complimentary organic eco friendly toiletries. Hair dryers are provided in every room. All bedrooms are fitted with automatic roller blinds which gives total blackout aiding you with a great nights sleep. 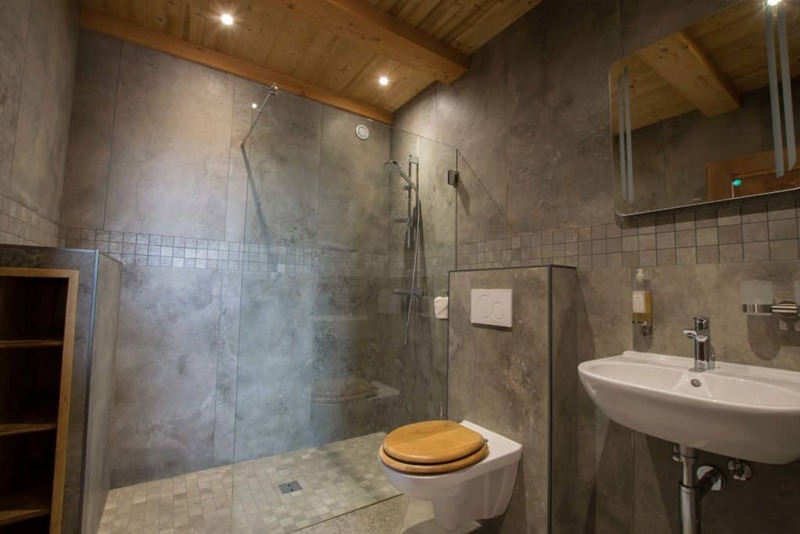 The whole chalet is run by a Geothermal heating system,which is both eco friendly and sustainable. you will have the option of controlling your bedrooms temperature by the digital thermastats that each bedroom has. Light and airy rooms with large sliding doors leading to your balcony or terrace area. Your room will be nice and fresh on your return. Again no expense has been spared on our linen, The beds have feather and down duvets and pillows, with 100% Egyptian cotton sateen linen to create that extra comfort you want whilst on holiday. WiFi coverage is available throughout the chalet. Including all of our bedrooms.